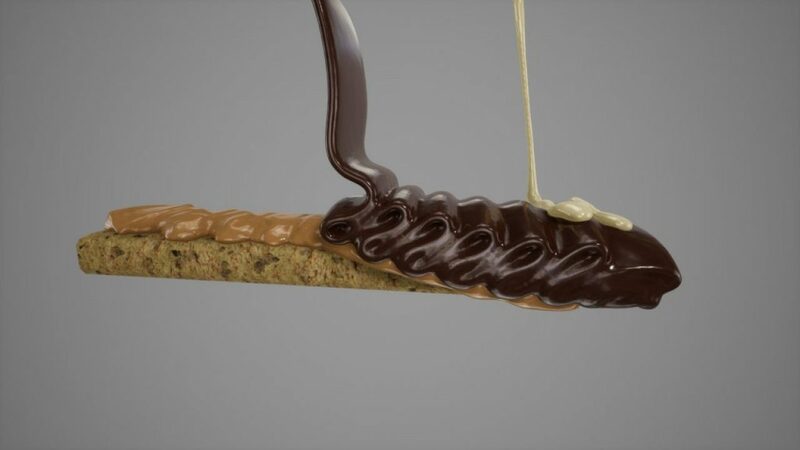 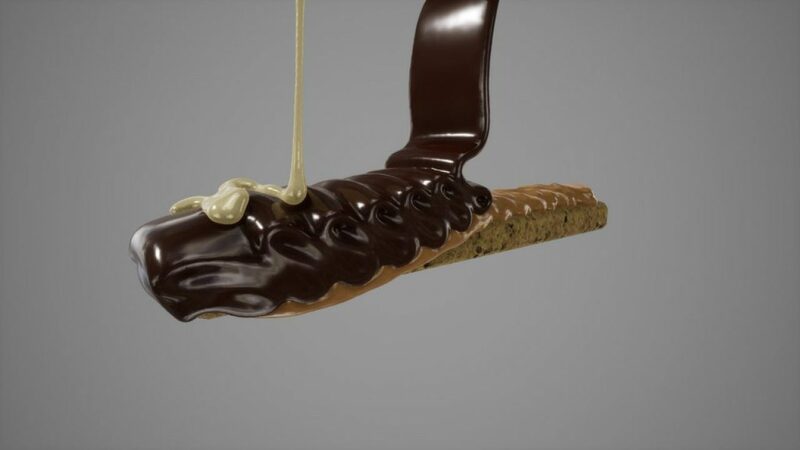 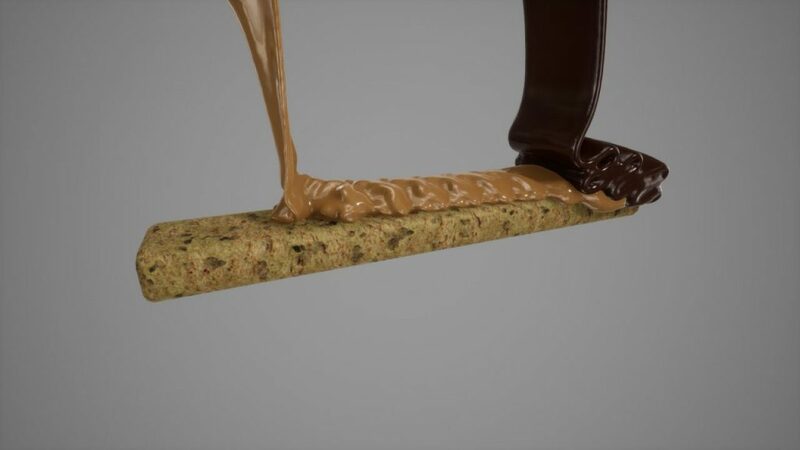 In this project, a biscuit bar should gradually be coated with caramel, dark chocolate and white chocolate in Unreal Engine 4 . 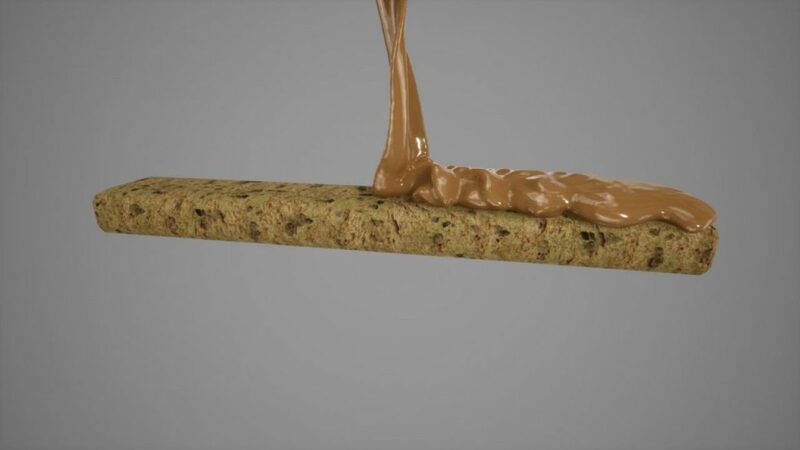 For this purpose, various fluid simulations for the three different layers were first developed in Houdini FX and later implemented in Unreal Engine 4. 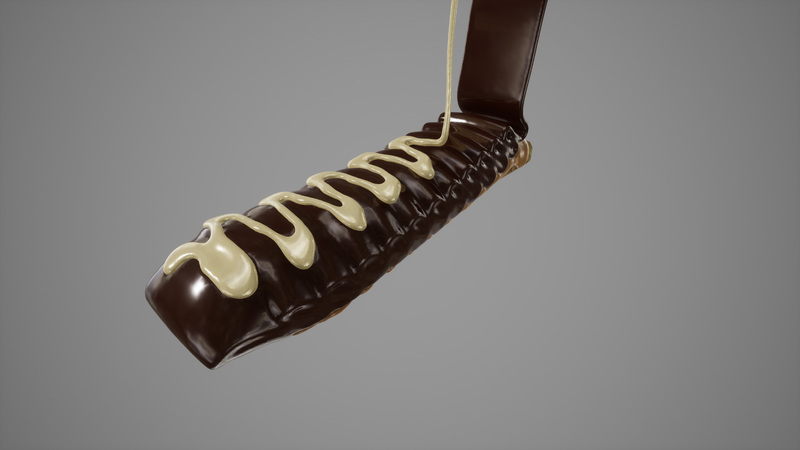 There, the lighting and shading was set up. With almost 40.000 tris, the fluid simulation is suitable for usage within a real-time environment, which enables fast adjustments in the area of lighting/shading, as well as image and video rendering.